Working with your Manager and/or a designated contact in your department, follow the steps outlined below to ensure your exit runs smoothly. Not all steps will apply to all employees; complete only if applicable. EHRA employees are expected to provide their immediate supervisor with one month of advance written notice of resignation. EHRA employees on contract are encouraged to work towards a mutually agreed upon termination date if the individual intends to voluntarily separate prior to the completion date of their contract. Important Note – If you are an academic with a defined end date (e.g. Contingent, Contract, Limited Term, or Sessional) and your appointment is ending on the pre-determined date, you do not need to submit a letter. SHRA Employees are required to provide their immediate supervisor with written notice of resignation at least two (2) weeks or ten (10) workdays prior to the last intended workday. I am writing to inform you that I am resigning from [insert current position] and my last day of work will be [enter agreed upon last day of work]. I have greatly enjoyed being part of this team and I would like to thank you the opportunity to work for [insert department/group name]. I have learned a lot about [insert skills, topics, etc. you have learned] and I know these skills will serve me well as I move forward with my career. Please use this letter as my official notice of resignation. Let me know how I can be of assistance during this transition process. It has been a genuine pleasure to work for [insert department name] and I wish you all continued success in the future. Contact your Benefits Consultant to begin the process. This notice will be shared with your department at the time you complete the application or no later than 30 days prior to the effective date of your retirement. Upon receiving such notice, your department will confirm your intent to retire and make arrangements with you concerning submission of your resignation. Once your resignation is accepted, please be aware that your position may no longer be available even if you subsequently decide not to retire. Begin reviewing information about your benefits continuation to ensure coverage as needed. Contact your Benefits Consultant with specific questions. If your employment-based immigration status was sponsored by NC State, please contact International Employment at i9questions@ncsu.edu to inform this unit about your last day of employment. If your sponsoring unit has ended your employment earlier than the end date on your status approval notice (or I-94 card), then it might be required to offer you the reasonable costs of return transportation abroad if you are in H-1B or O-1 status. Please contact the International Employment Manager for more information. If you have any questions regarding the Offboarding process or would like to schedule a time to meet with an Offboarding Specialist on your last day, contact our office at either onboardingcenter@ncsu.edu or 919-513-1278. We are happy to assist with the separation process and answer any individual questions that you may have. Your department/unit may also reach out to discuss unit specific information. Work with your supervisor or department representative to return assets and terminate system/data access. The following tools will help with these steps. Notify appropriate IT staff to review the individual’s current access to systems (e.g. Moodle, Google, PeopleSoft HR, Financials, SIS, RADAR, ADVANCE, etc) and submit a revoke/termination access request through appropriate channels. Arrange a time to meet with your manager to discuss the status of your teaching / projects / committee involvement / etc. and plans for knowledge transfer as needed. In addition to any knowledge transfer that must take place, ensure any university information / data is transferred to an accessible secure shared drive and is not saved on your individual drive, hard drive, or Google drive. Ensure all outstanding expenses & reimbursements have been submitted and approved before your last day. Ensure all time and leave is approved in WolfTime before separation date and verify the “forecasted balances“. Inaccurate balances have a direct impact on leave payout amounts. For employees engaged in research. These items may be taken care of when meeting with an offboarding specialist. The University wants to better understand what faculty and staff value most in their workplace and why they leave. It is highly encouraged, but not mandatory, for all separating employees to complete an Exit Survey. The information furnished is confidential and will only be used in summary form as a means to identify patterns or trends in the work environment at the University. 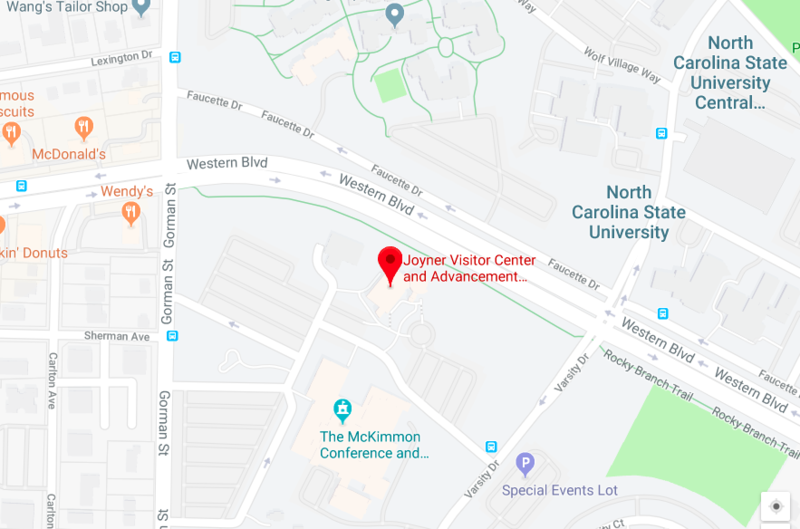 If you would like have an in-person exit interview, please call 919-513-3245 or email Sheri Schwab at slschwab@ncsu.edu. In addition to the exit survey, the Office of Postdoctoral Affairs would like to gather some information regarding your next career opportunity to better understand the career trajectory of our postdocs. Please complete this short survey, or complete the paper version and return to Nicole Ditillo at nmditill@ncsu.edu or Campus Box 7503. Separating employees using payroll deduction must return their virtual parking permit to Transportation prior to the end of the month to end payroll deduction, otherwise parking charges will continue to accrue. You can visit Transportation’s Contact Us page and under the “Have a Question or Comment” section choose “Returning Virtual Permits: Chris Dobek”. Fill out the information and include the day you would like for your virtual permit to be returned. We can also assist you with this during the Offboarding appointment. •	An offboarding specialist can assist with the return of the virtual permit during an offboarding appointment if needed. •	If an employee returns the parking permit during Payroll lockout the employee will get charged the full monthly amount for the permit and then a prorated refund will be issued. •	If the employee paid in full up front for the parking permit, they will need to go to the Transportation office on their last day and then will be issued a prorated refund. •	If an employee is part of a Carpool they must visit the Transportation Office in person to ensure remaining Carpool members have the appropriate permits. •	All scratch off permits for Vanpool members as well as remaining daily parking permits for commuters will be deactivated upon termination. Go Passes will be deactivated upon termination. If the Go Pass was paid in full, a prorated refund can be processed by contacting Transportation. If paying through monthly payroll deduction, the deductions will stop when deactivated. Go Passes can be turned into the Transportation Office or turned in during your offboarding appointment. Employee’s can return their One Card to either location below or the supervisor/department can shred it for them. Ensure your Direct Deposit Information in the MyPack Portal will be valid for a minimum of 60 days after you leave the university. Expense reimbursements or leave payouts may not be processed until after your last day of work. To ensure you receive these payments in a timely manner, it is recommended that you keep your bank accounts open until you have received all final monies owed by the University. Ensure your mailing address is up-to-date. Accurate contact information will ensure that final university documentation and benefits continuation information are directed to your correct address after departure. To verify and update your personal information, including home address and phone number, log into the MyPack Portal and update the information in Employee Self Service. Change any customized information (e.g. working title) in the Campus Directory back to the default information. This will eliminate confusion and mis-information if you return to the University in a different role. This is especially important for retirees to complete. **IMPORTANT NOTE: You will need DUO 2-Factor Authentication active to access any accounts using your Unity ID and Password. Maintain the DUO functionality as long as you need to reference any NC State University Systems. **IMPORTANT NOTE: You will need Google 2-Step Authentication active to access your NC State University email account at any point after separating from the University. Visit the Retirement at NC State page for more information on action items that may need to be completed for retirement/up. Visit the Retirement Perks and Privileges web-site for specific details and links for additional resources.